HISTORY OF THE INDIAN TRIBES WITH BIOGRAPHICAL SKETCHES AND ANECDOTES OF THE PRINCIPAL CHIEFS. 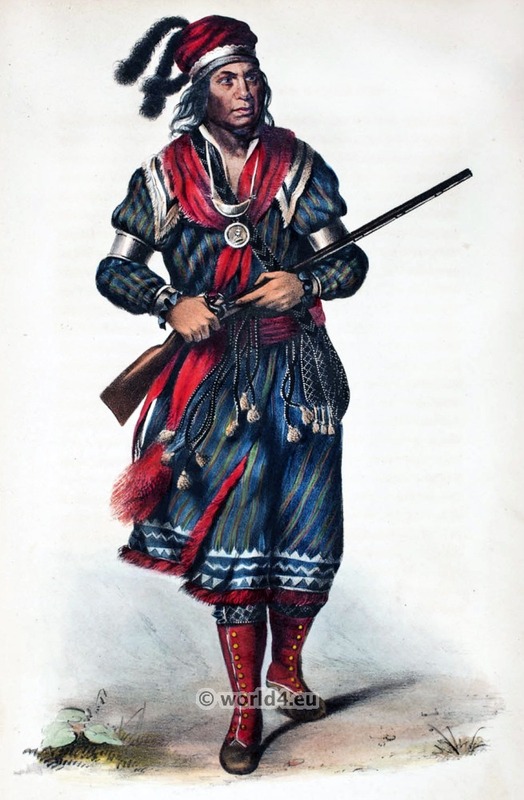 EMBELLISHED WITH One hundred Portraits from the Indian Gallery in the WAR DEPARTMENT AT WASHINGTON. 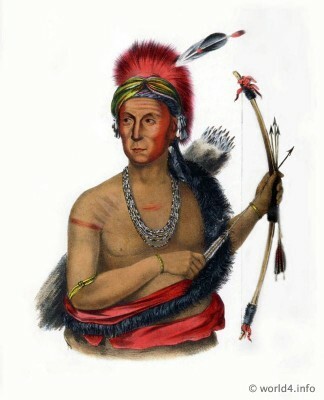 BY THOMAS L. McKENNEY, LATE OF THE INDIAN DEPARTMENT, WASHINGTON. 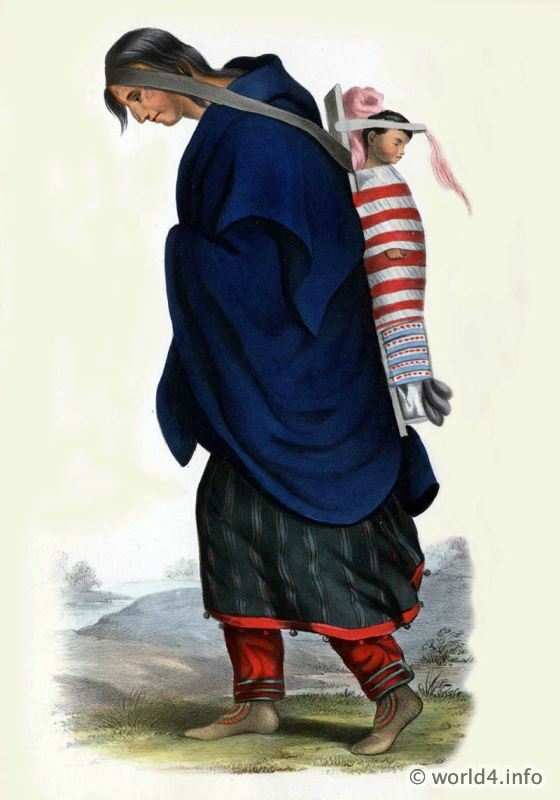 PUBLISHED BY D. RICE & CO. 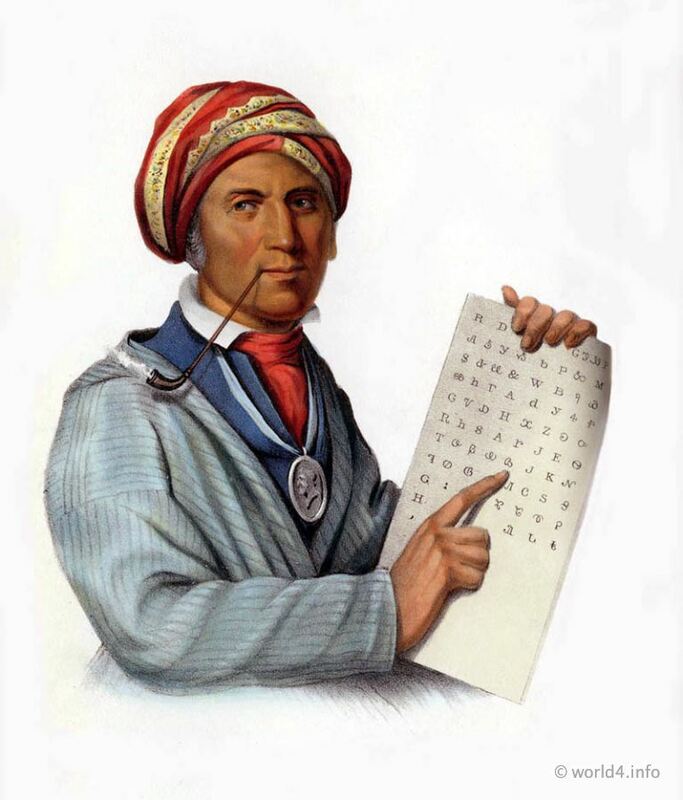 SE QUO YA, George Guess inventor of the Cherokee Alphabet. 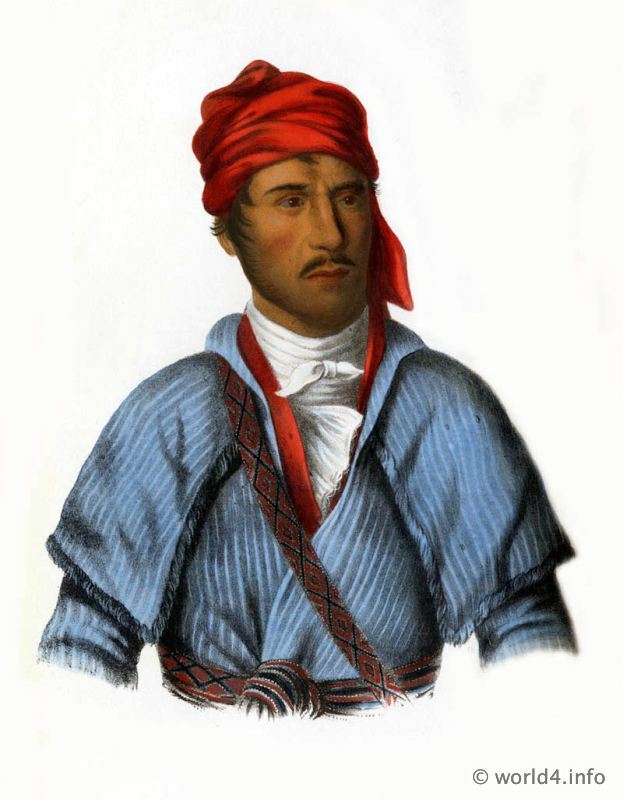 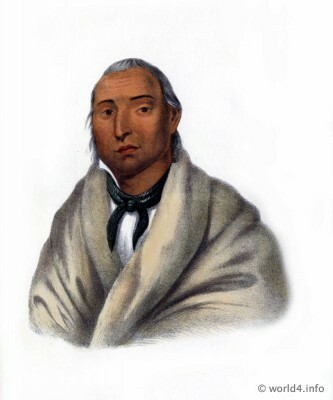 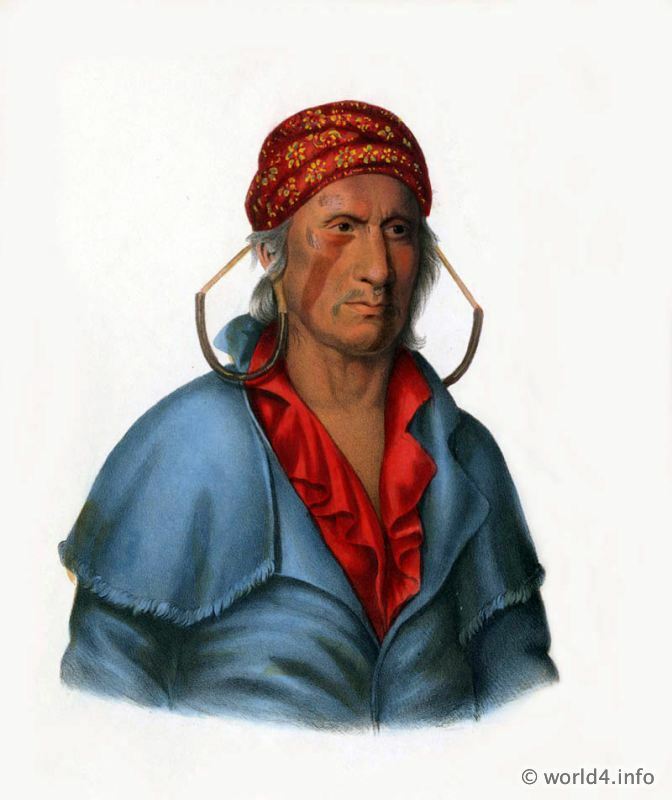 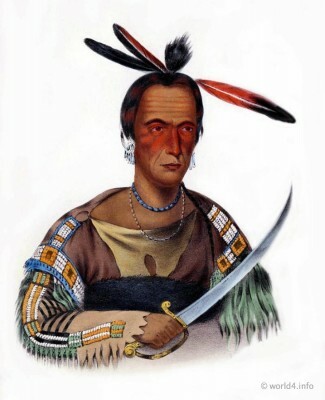 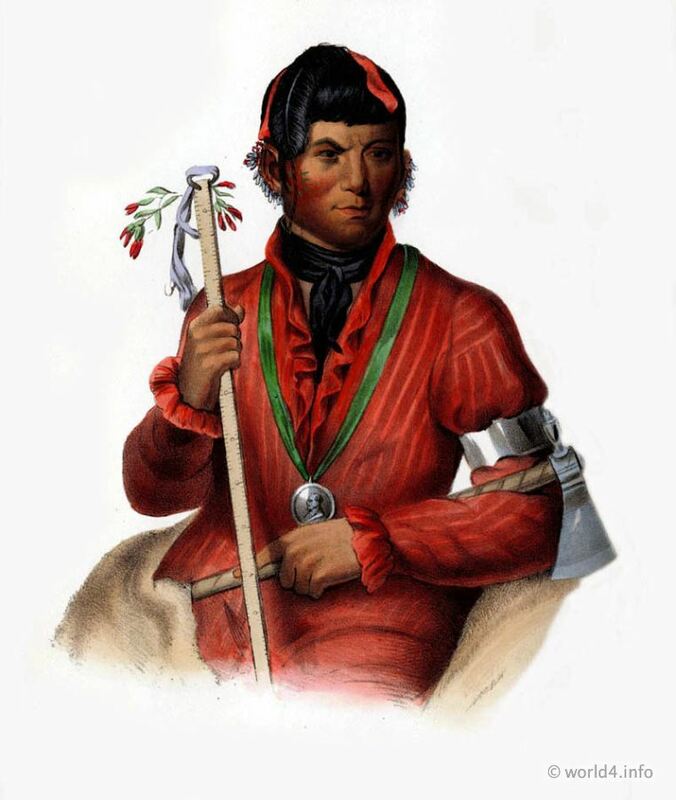 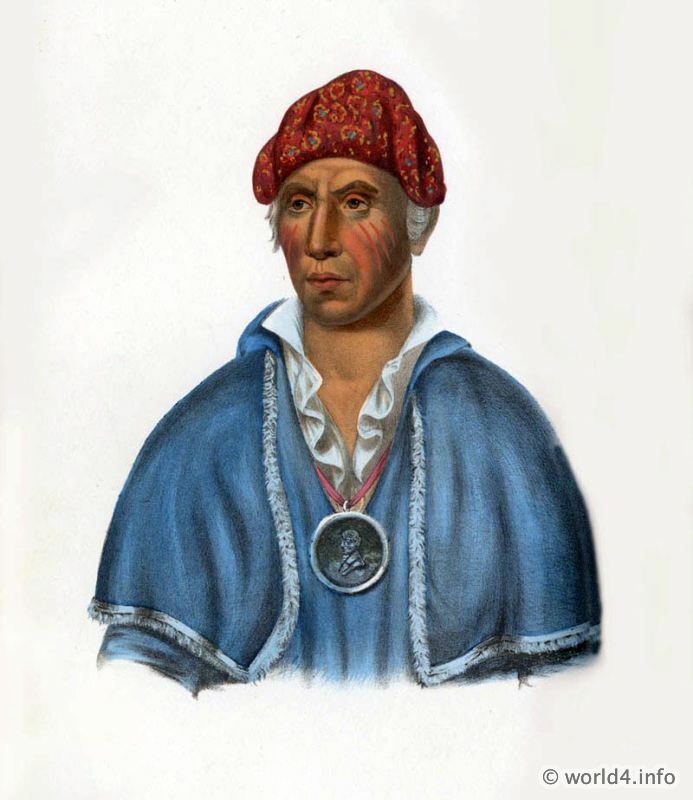 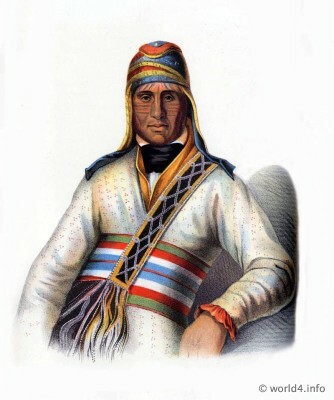 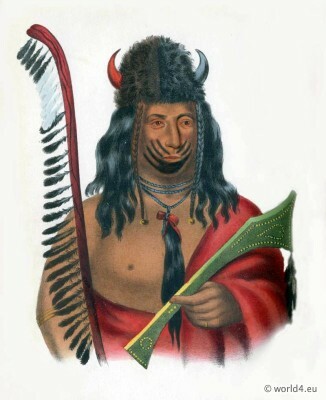 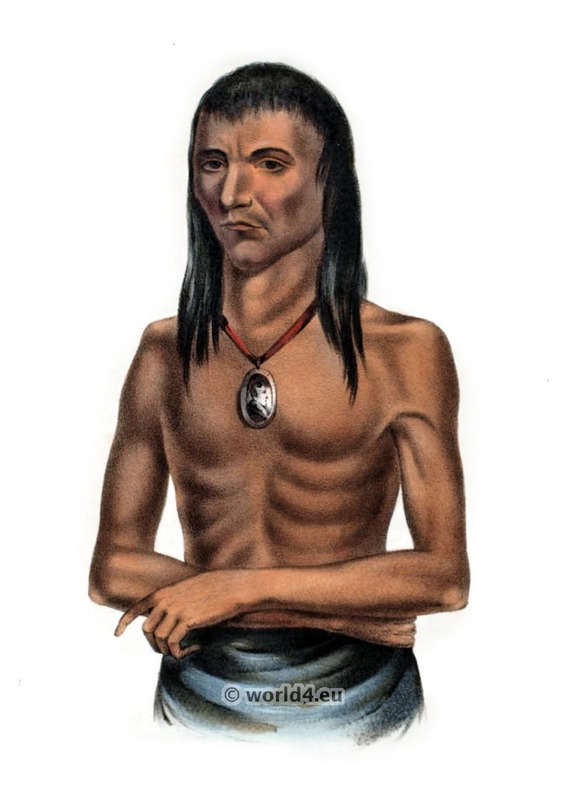 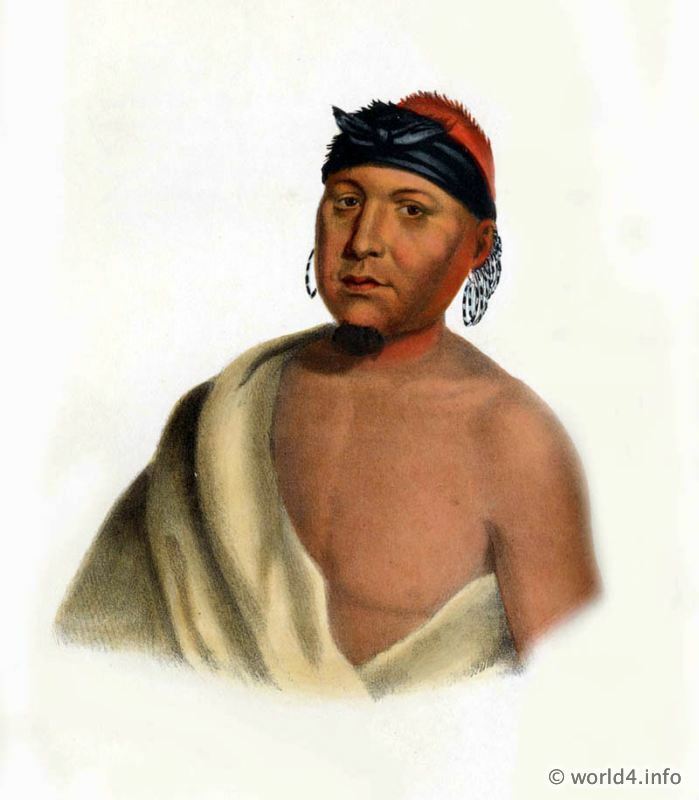 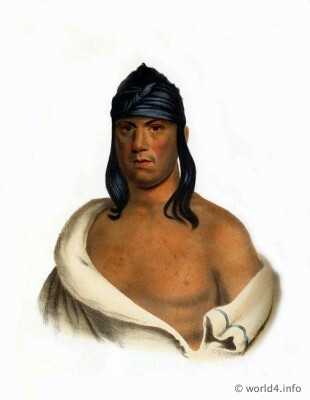 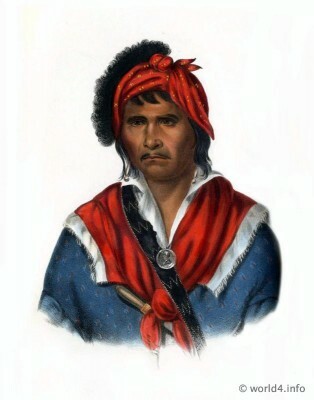 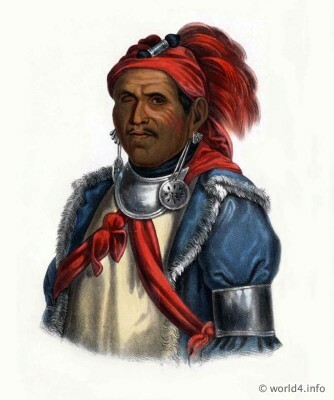 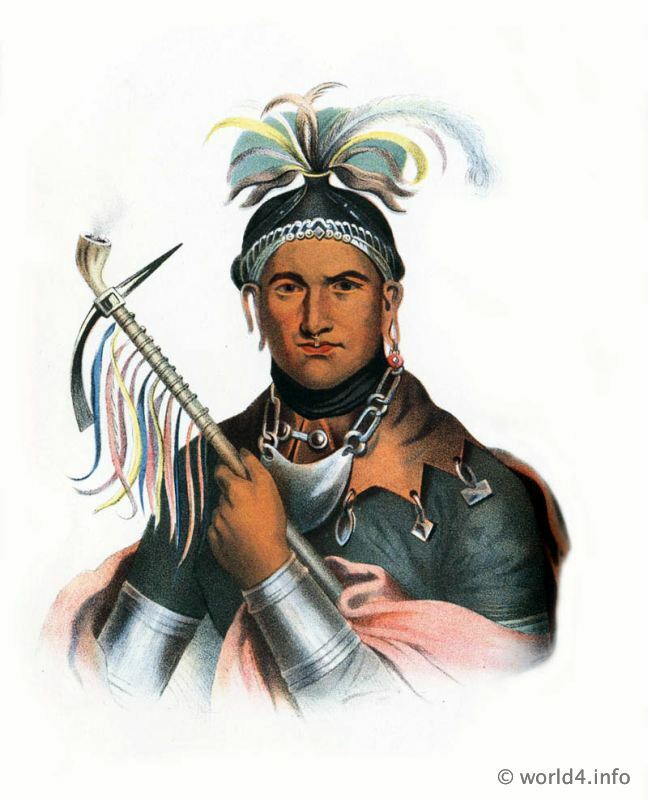 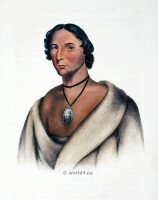 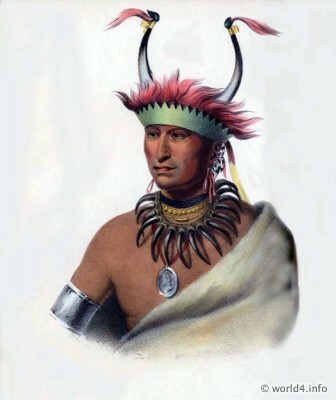 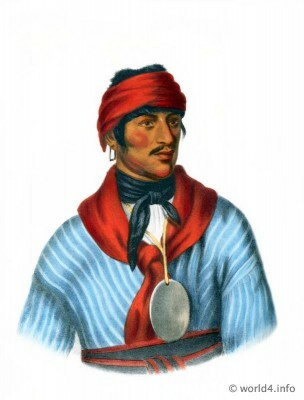 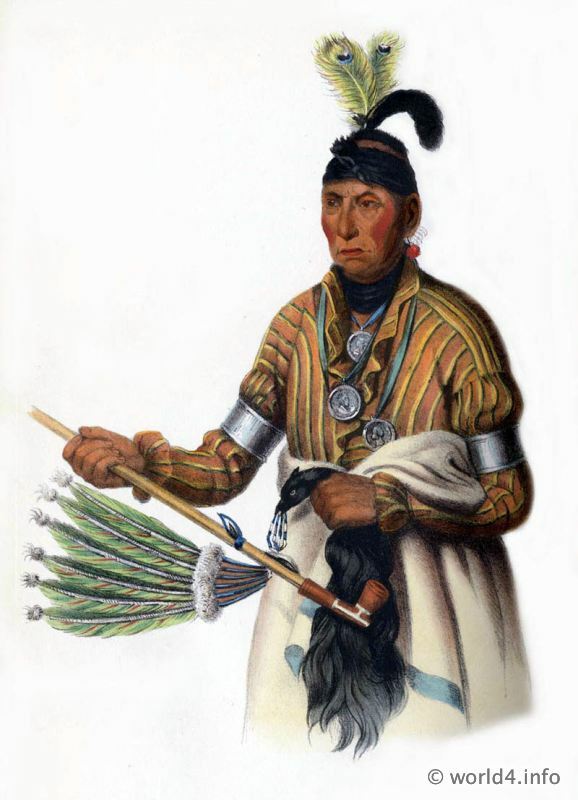 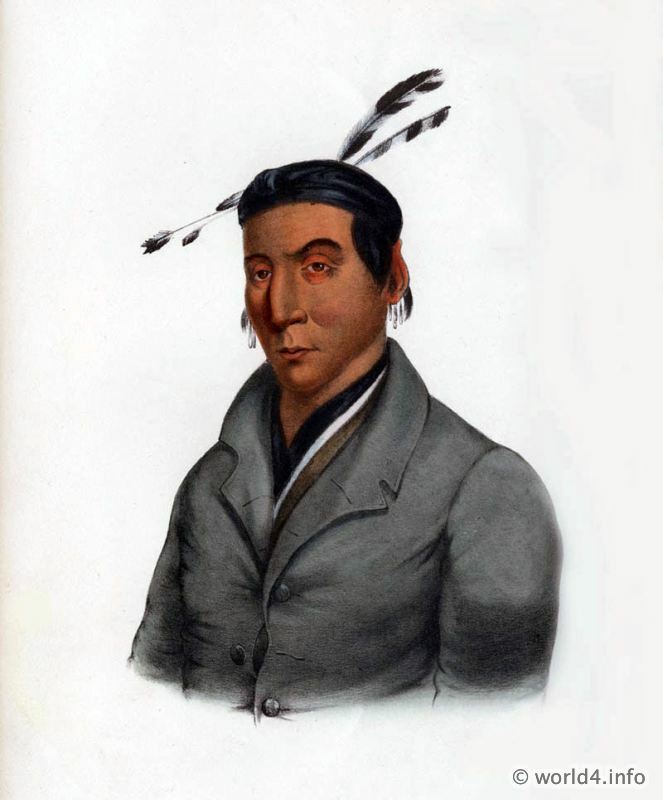 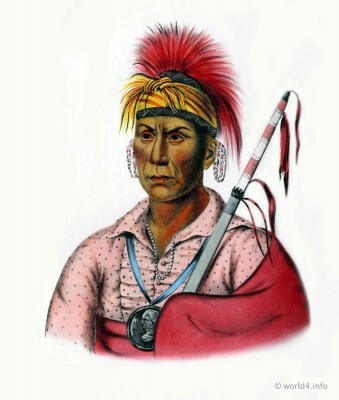 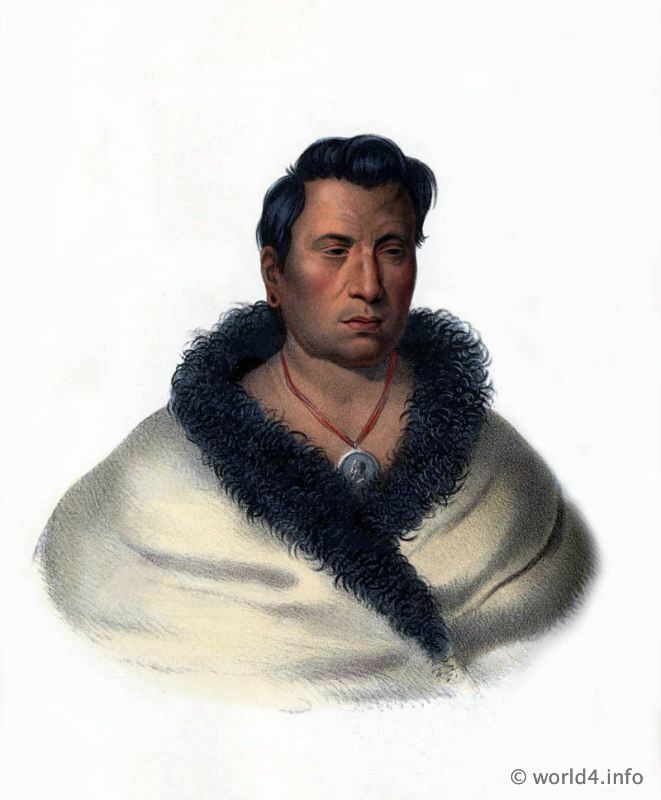 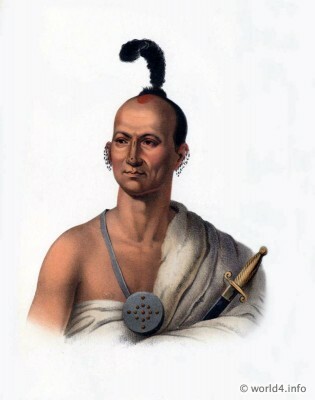 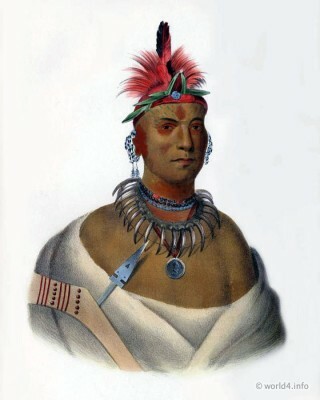 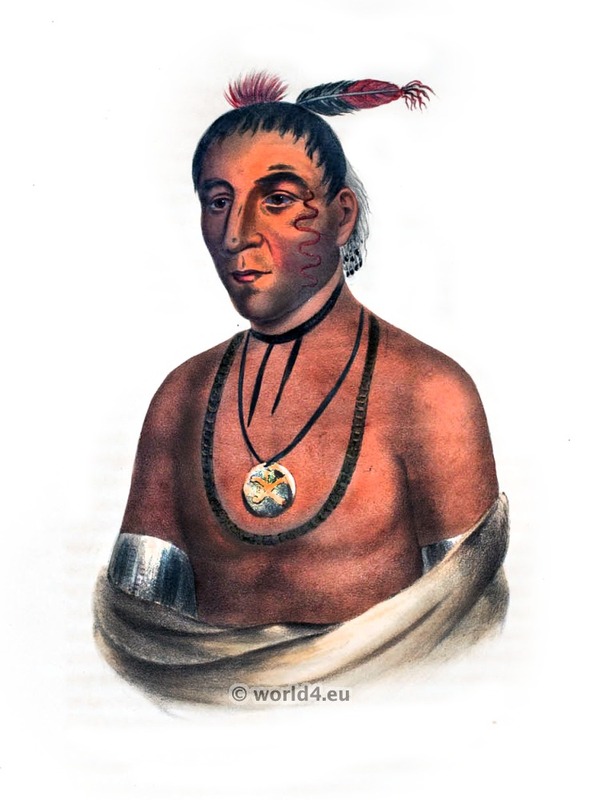 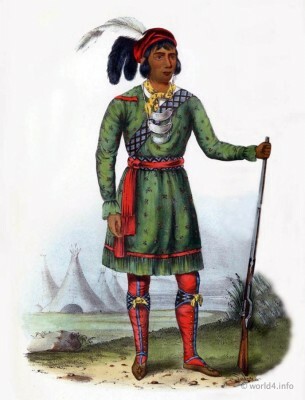 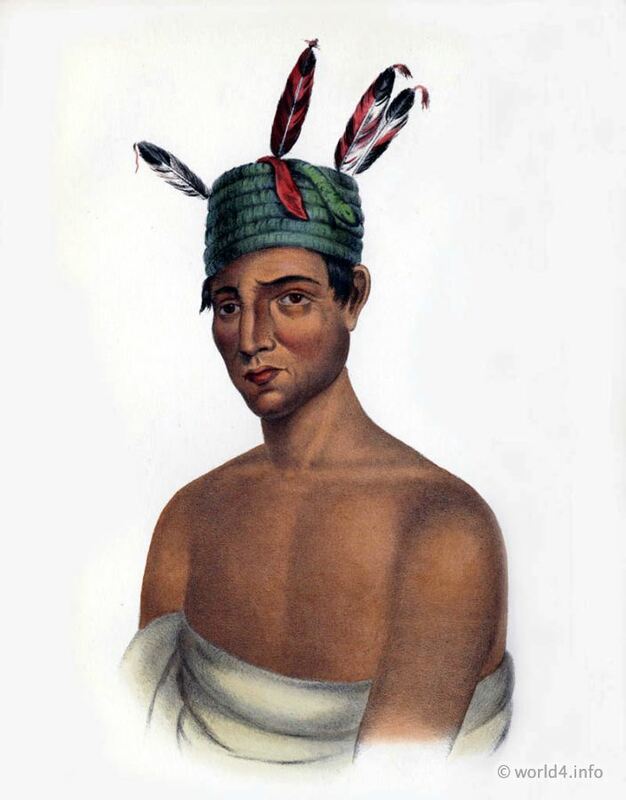 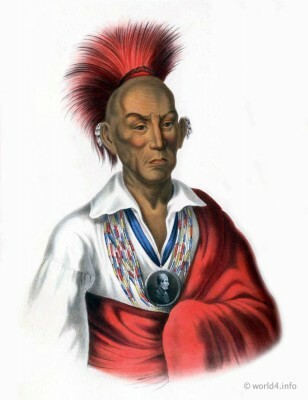 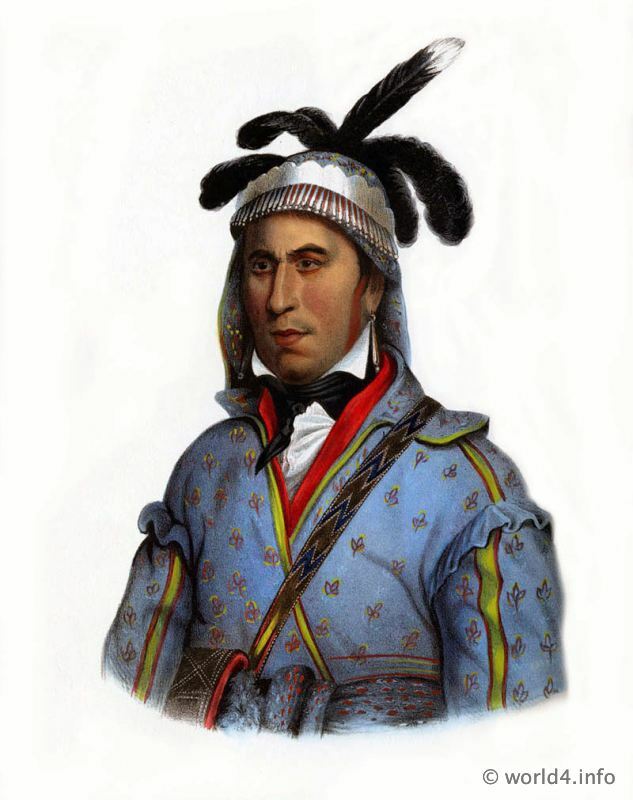 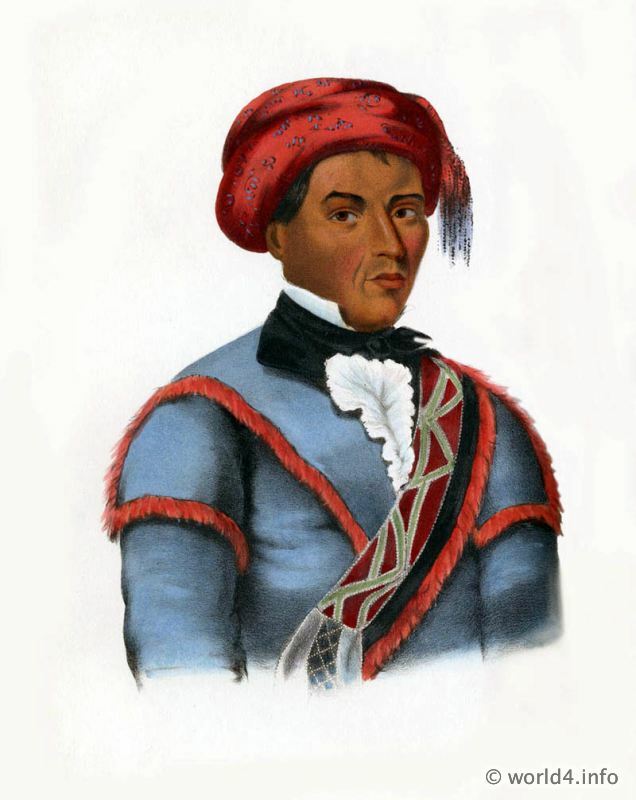 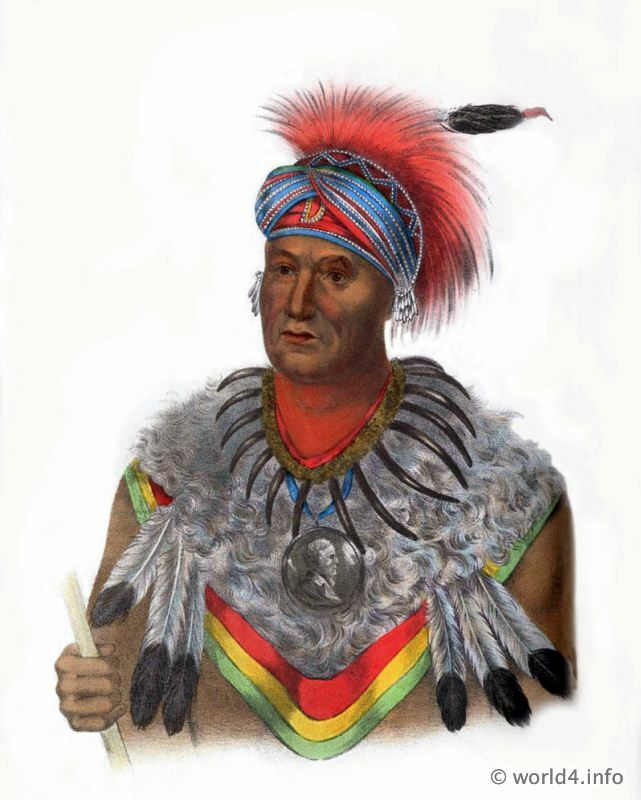 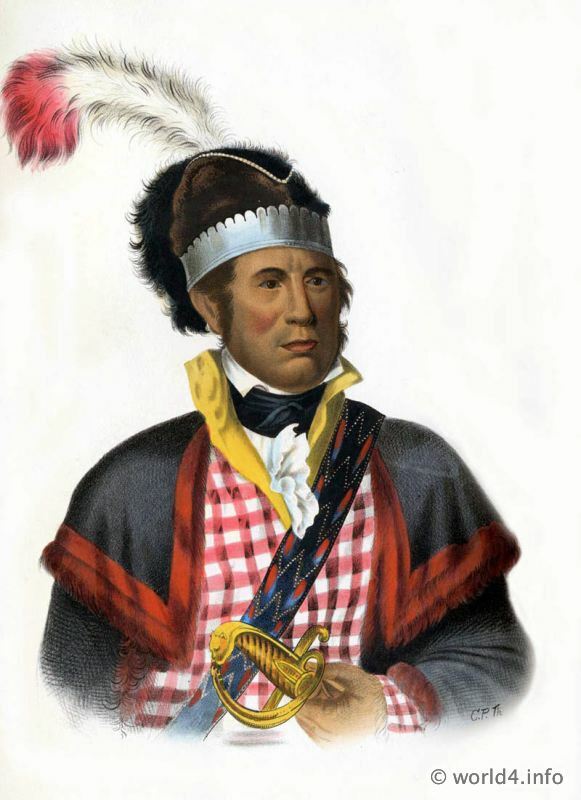 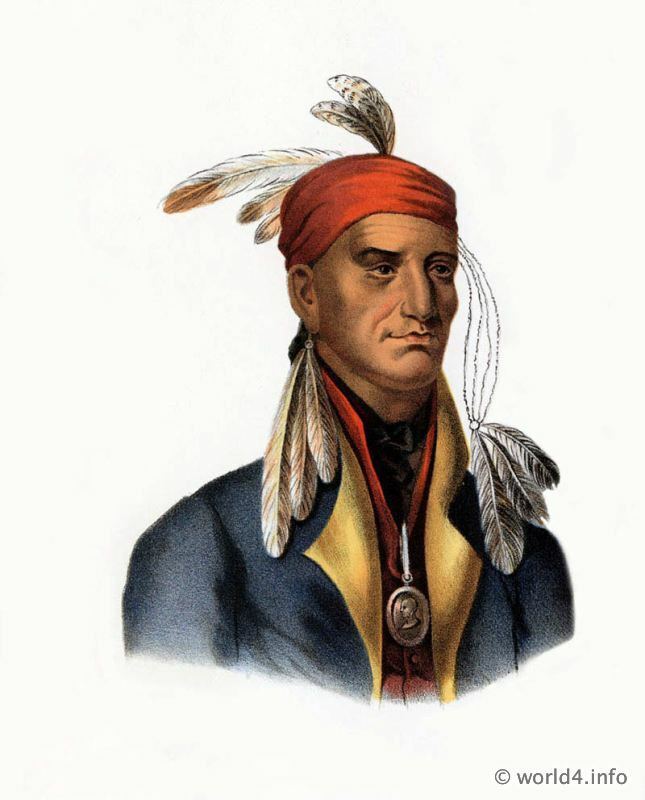 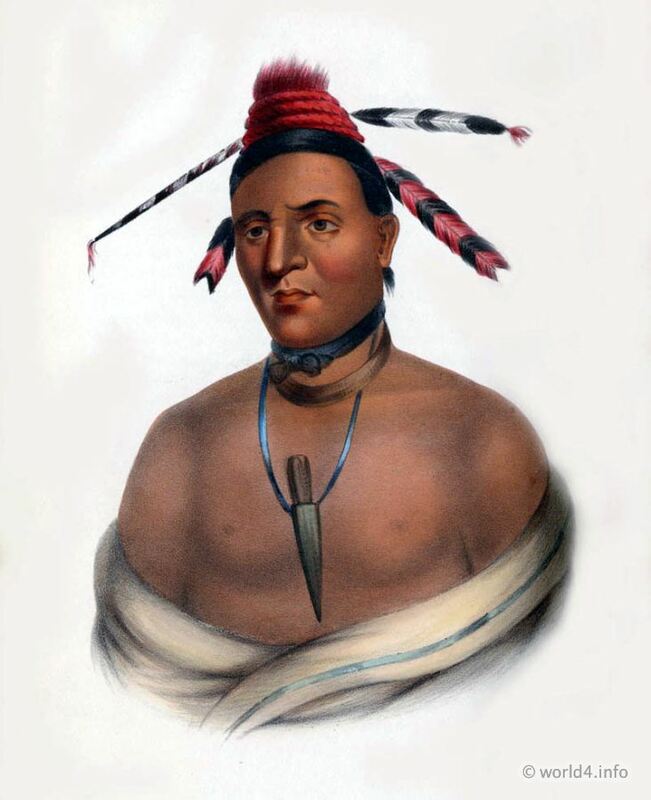 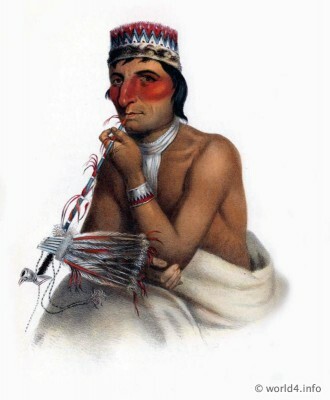 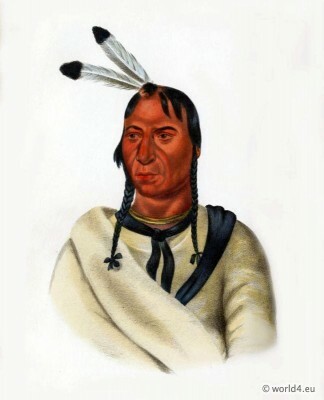 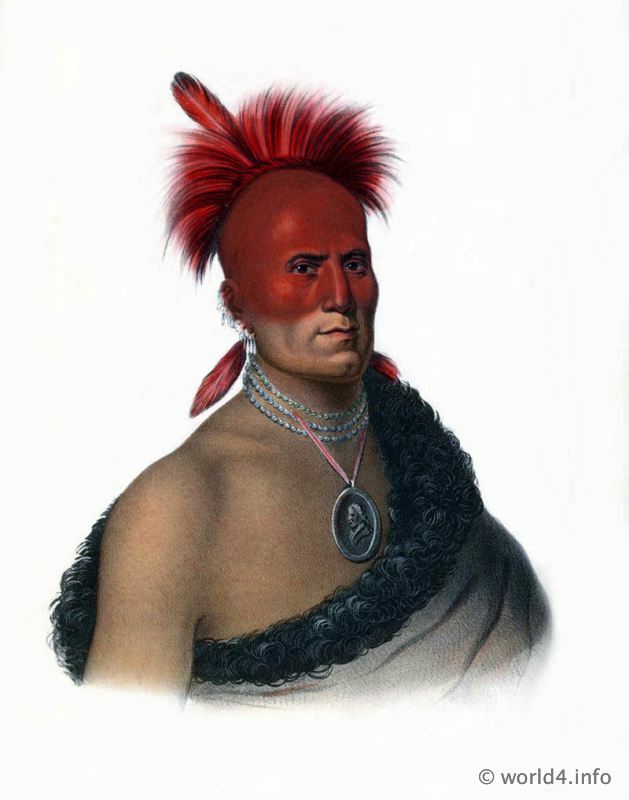 KISHKALWA a Shawnee Chief 1824. 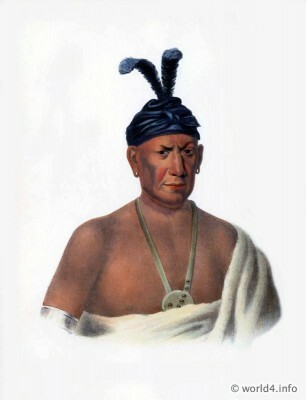 Yoholo Micco, A Creek chief. 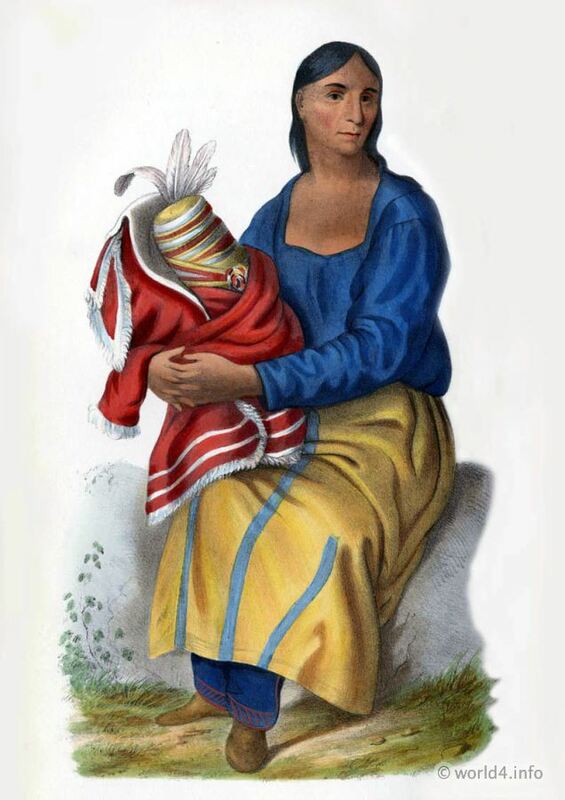 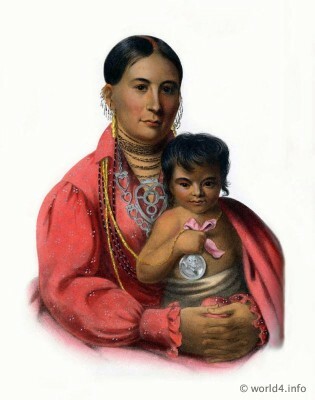 Mohongo, an Osage Woman with her child. 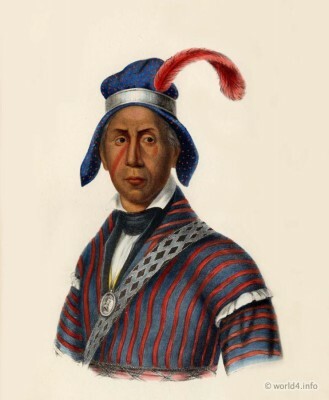 Osceola – A Seminole Leader. 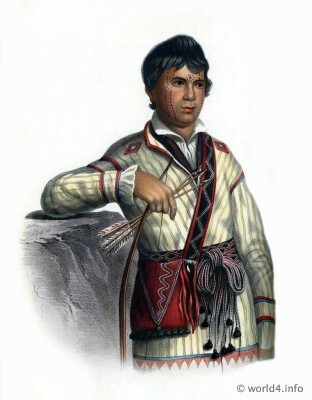 By Thomas L. McKenney and James Hall. 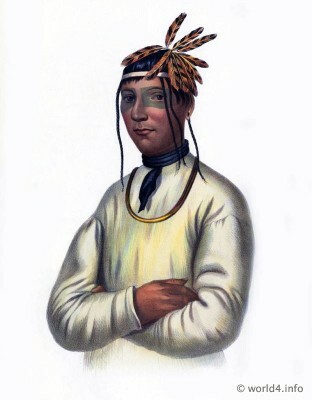 Paintings: Charles Bird King, James Otto Lewis and George Cooke. 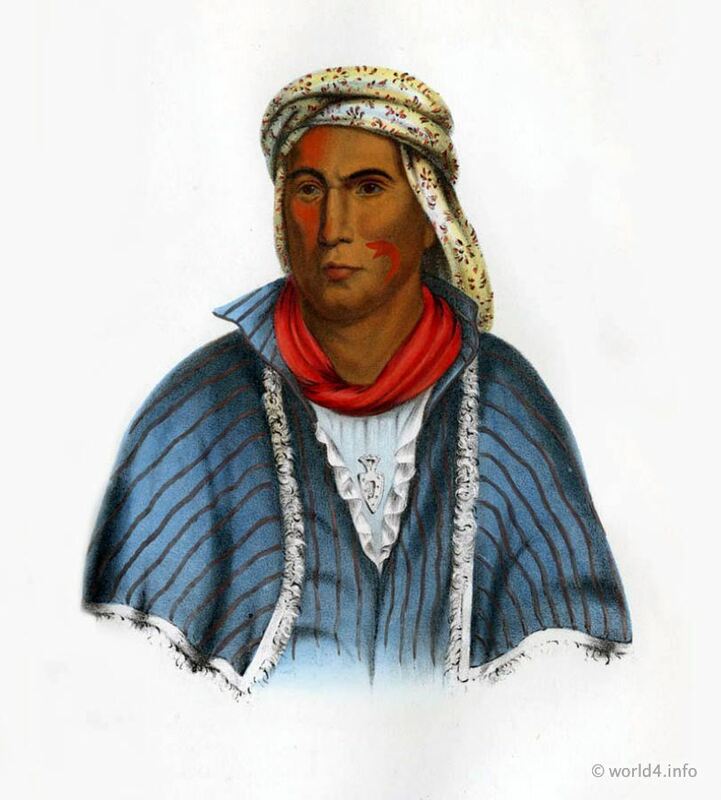 Original Printed by J.T. 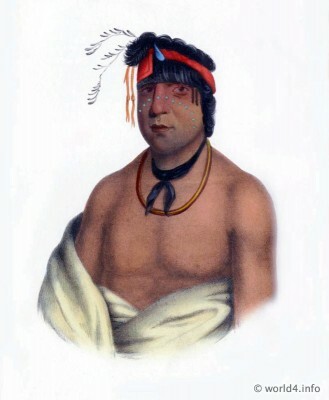 Bowen 1848-1850. 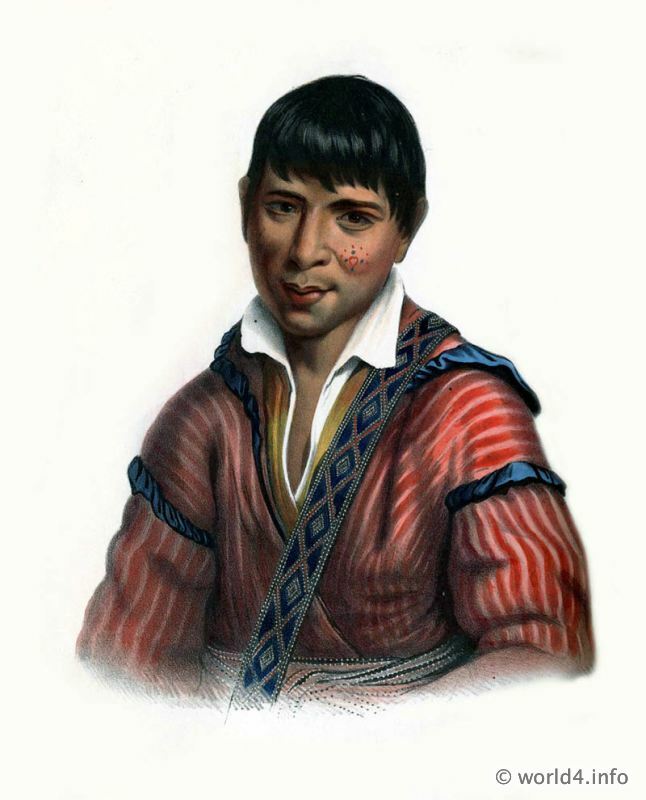 The first Octavo edition came out in 1848. 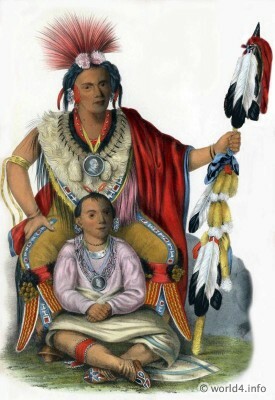 THE folio edition of “THE HISTORY OF THE INDIAN TRIBES OF NORTH AMERICA, WITH BIOGRAPHICAL SKETCHES AND ANECDOTES OF THE PRINCIPAL CHIEFS, EMBELLISHED WITH ONE HUNDRED PORTRAITS, FROM THE INDIAN GALLERY IN THE DEPARTMENT OF WAR, AT WASHINGTON, BY THOMAS L. MCKENNEY, LATE OF THE INDIAN DEPARTMENT, WASHINGTON, AND JAMES HALL, ESQ., OF CINCINNATI,” has been pronounced by the learned and polished both of Europe and America, to be one of the most valuable and interesting productions of the present age. 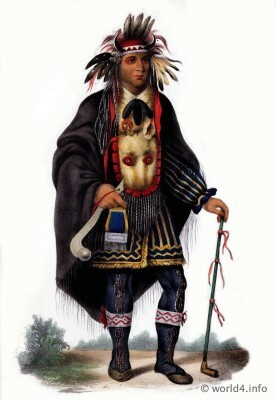 In Europe it is, at this moment, finding its way, under the patronage of royalty, into the circles of lords and nobles, and of the learned and wealthy of all classes whilst in America it has met a most flattering reception, and has been subscribed for by numerous citizens, of whose patronage any author might feel himself proud. This universal approval of the folio edition of the work, has induced the publishers of the present edition to alter the size to royal octavo, and thus place it within reach of the thousands, who, with taste and learning equal to those of the patrons of the large edition, have no less capacity to appreciate its worth and beauties. 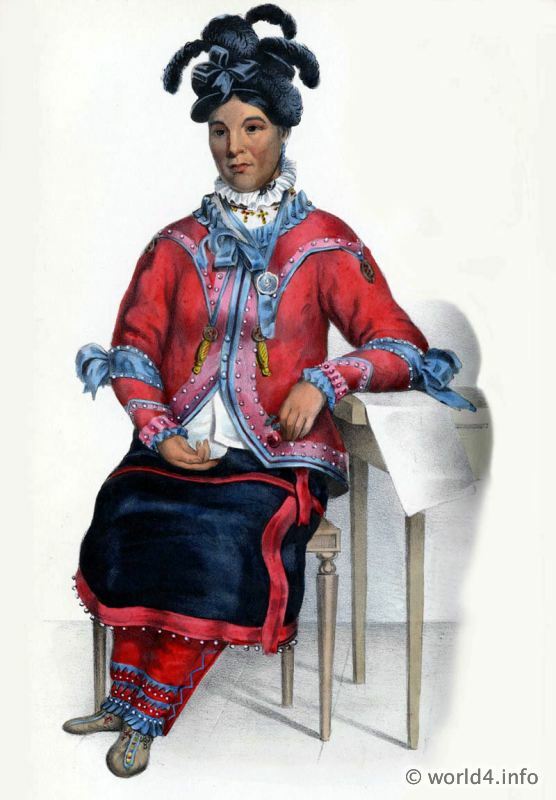 The publishers confidently refer it to the public to decide, whether the most perfect fidelity is not observed in every department of the work as well in the life-like expression of the portraits and their coloring, as in the typography and the paper. The publishers have the happiness to believe, that they are not forcing upon the public this edition of this truly national work, but that they are only responding to the universal demand for it, by those whose intelligence, and taste for the fine arts, enable them to appreciate its value. 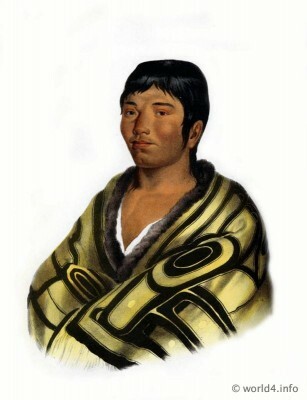 They also believe that the smaller edition will be preferred to the large, as it is better suited for a library. 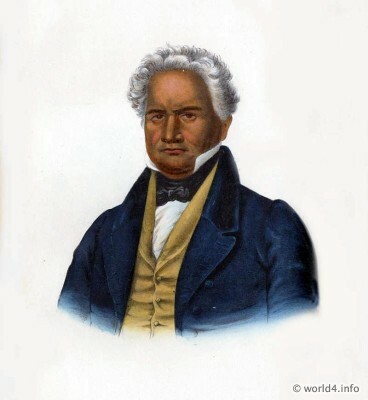 Thomas Loraine McKenney, Superintendent of Indian Affairs, under Presidents Madison, Monroe, Adams, and Jackson, was the man most responsible for bringing the Indian delegations to Washington in the early years of the 19th Century. For 16 years he controlled the destinies of more Indian nations on the American continent than any one man. He was an early champion of the Indians and to protect their rights, he fought Senate giants like Thomas Hart Benton and the flamboyant Sam Houston. 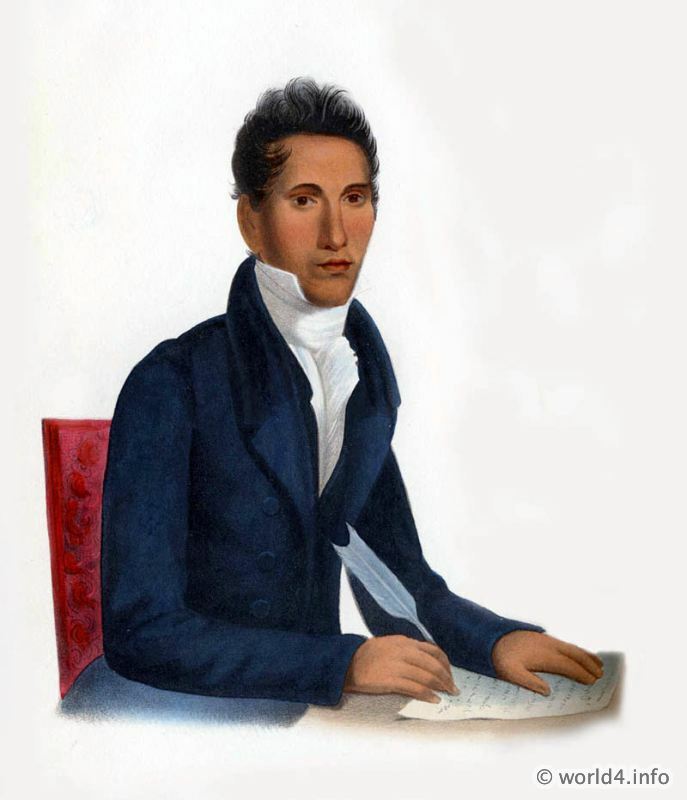 He was no desk administrator. 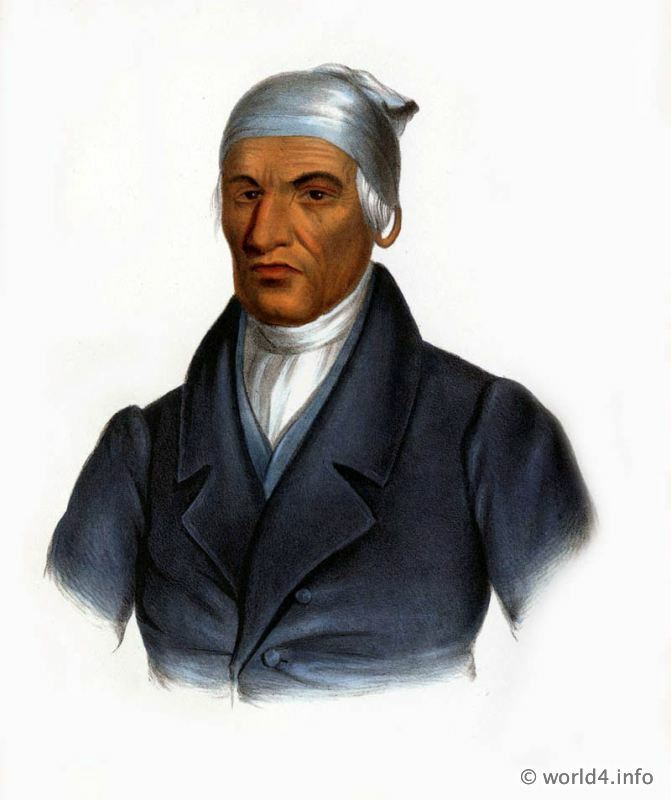 At President Adams’s request, he traveled more than 7,000 miles in canoe and on horseback along a dangerous frontier, settling treaties with the western and southern tribes. 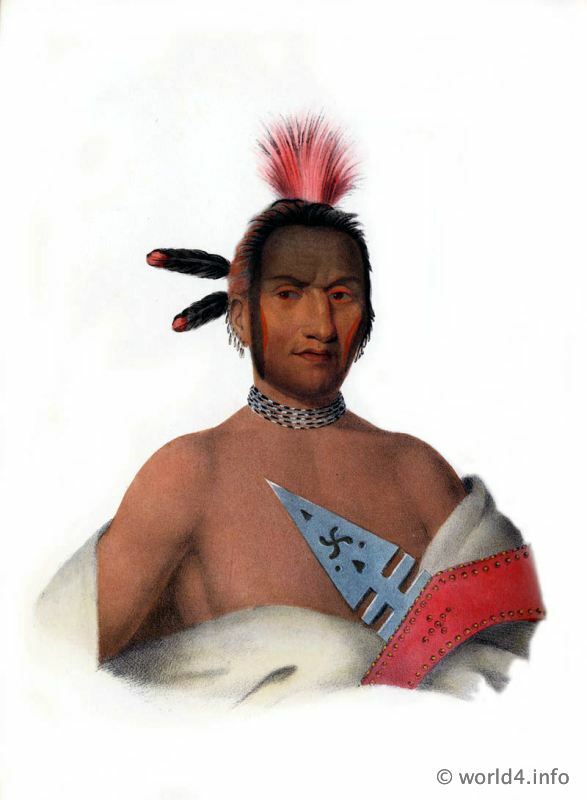 He was rewarded with a congressional investigation of his travel expenses. He was part of America’s earliest and wildest frontier. 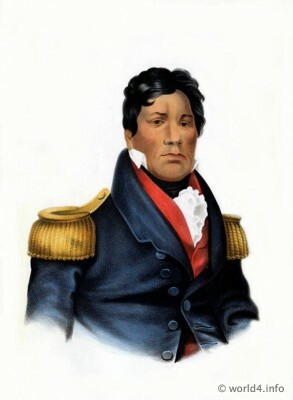 He despised President Jackson, but to remain at his post, McKenney foolishly believed the promises of Jackson that the wholesale uprooting of the Cherokee nation would be done peacefully. 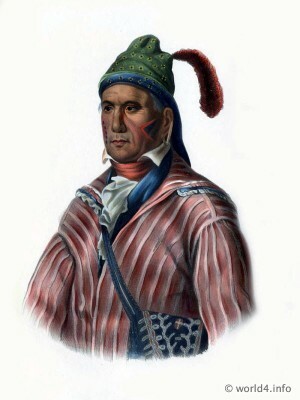 McKenney’s memorial is the portrait gallery of famous American Indians which he established soon after he took office. 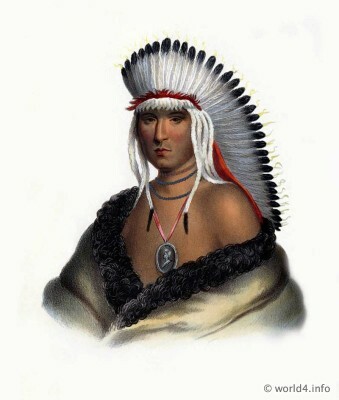 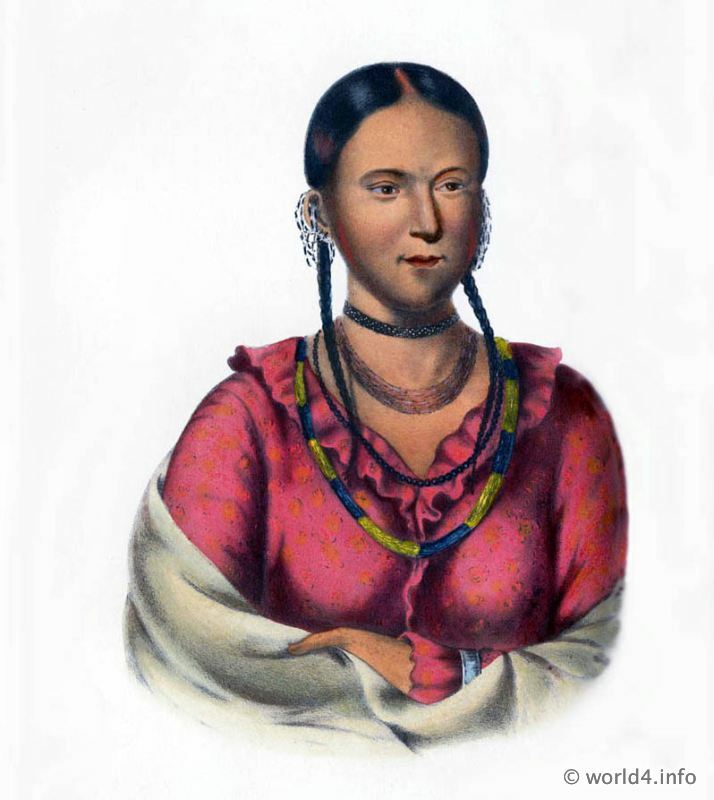 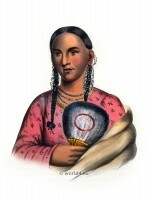 The majority of the paintings were by Charles Bird King (1785-1862) who never traveled in the West (Most of King’s 143 Native American portraits were lost in the Smithsonian fire of 1865). 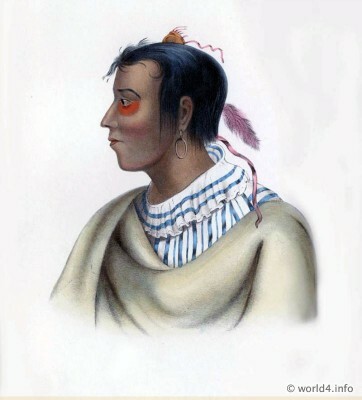 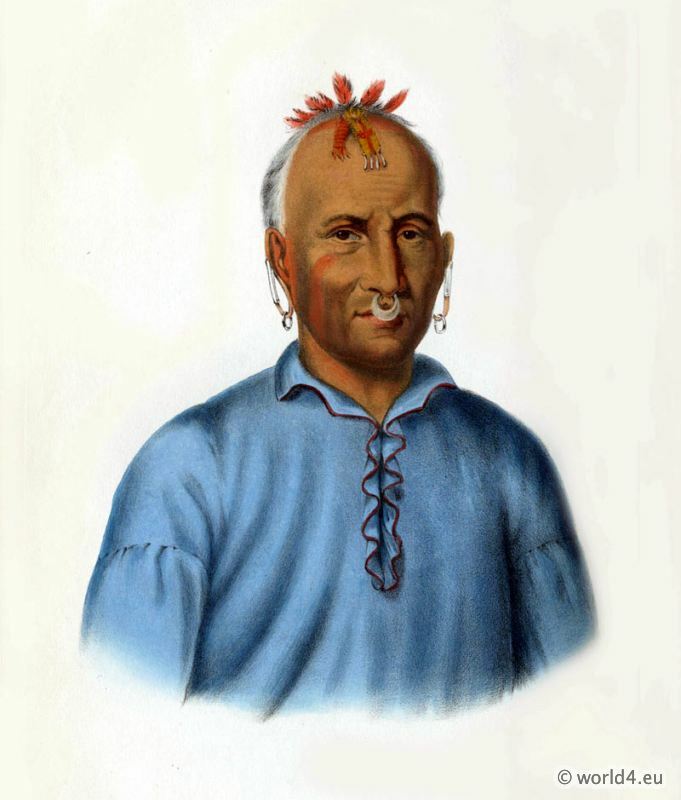 All the portraits were either copied from originial watercolor sketches done by James Otto Lewis (1799-1858), a young frontier artist, or painted from life when McKenney brought the chiefs and warriors to King’s studio. 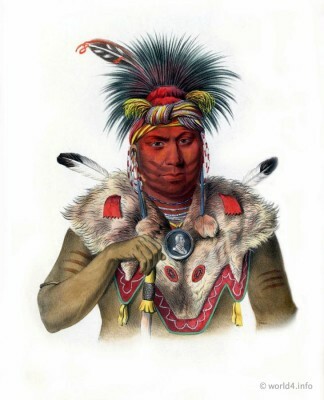 Here King painted portraits of famous Indian leaders of more than a score of tribes. After he was dismissed by President Jackson in 1830, McKenney launched his project to publish a series of elephant portfolios of the Indian portraits containing lithographs in color accompanied by an extensive text. He was to experience a great deal of frustration, unbelievable obstacles, and financial hardship before Volume I of the first Folio Edition was printed by Edward C. Biddle in 1836. Volume II was published in 1838 by a different publisher, and Volume III in 1844. 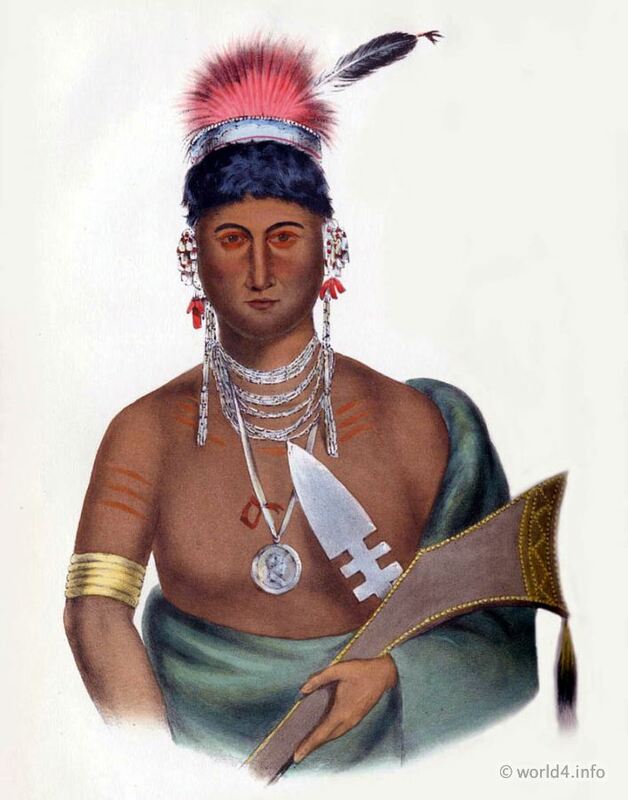 The volumes, entitled The Indian Tribes of North America with Biographical Sketches and Anecdotes of the Principal Chiefs, first appeared in London in 1837 where Catlin’s Gallery was attracting wide attention. The text was written by James Hall (1793-1868) based on material supplied by McKenney. 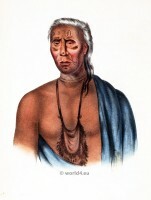 Henry Inman (1801-1846) copied many of the original portraits for the publication. 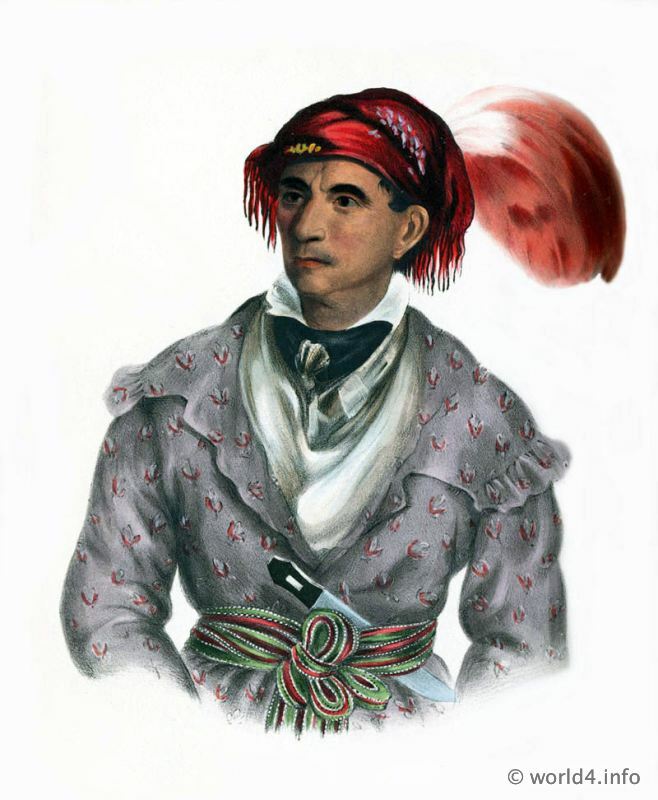 James Hall was a complex flamboyant frontiersman and a literary pioneer of the Ohio Valley. He was a competent backwoods prosecutor of early western outlaws, newspaper editor and publisher, biographer, author of frontier histories, and one of the earliest writers of western fiction.The three-volume set is now one of the most valued items of Americana, usually found only in rare book rooms of major libraries and museums. They offer the finest example of early American lithography. It is fortunate that McKenney forced his dream to became a reality. 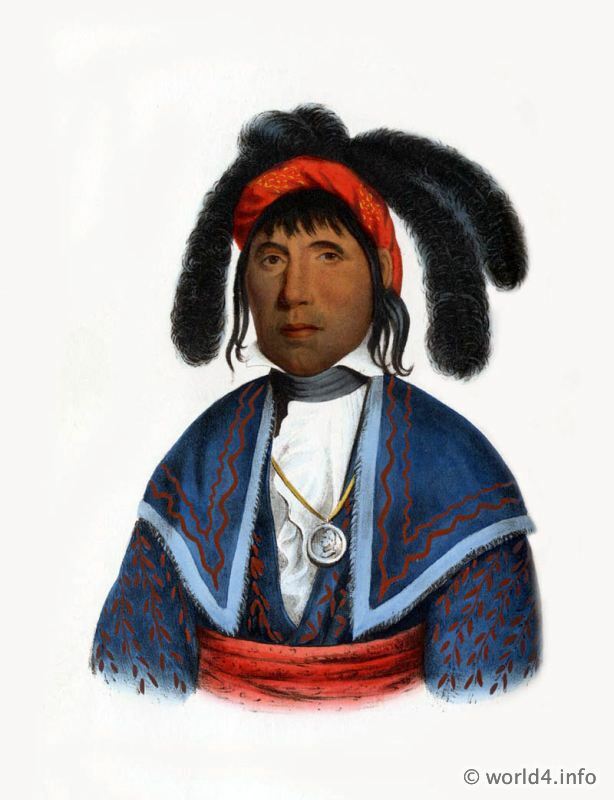 In 1865, the gallery of original portraits, then housed in the Smithsonian Institution, was destroyed by fire. McKenney’s portfolios are truly a landmark in American culture as a faithful recording of the features and dress of celebrated American Indians who lived and died long before the age of photography. Switzerland national costumes of 22 cantons in 1860. Switzerland National Costume of 22 cantons in 1865. Traditional costumes of Japan and Java.